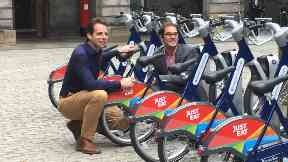 Just Eat Cycles has 200 bikes available to hire at sites including Waverley Station. A new bike scheme which aims to encourage more people to take up cycling has been launched in Edinburgh. Just Eat Cycles has 200 bikes available to hire around the city at sites including Waverley Station and Edinburgh University. More are set to be rolled out at other locations as the scheme - launched on Monday by round-the-world cyclist Mark Beaumont - progresses. Cyclists will be able to hire bikes through an annual membership for daily use, or for shorter stints around the city. Similar schemes have already been put in place in other cities across the UK, including Glasgow. However, sponsorship of the project in Manchester was withdrawn after the bikes were discarded and thrown in the canals by users. 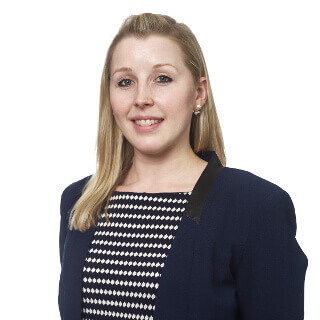 Councillor Lesley Macinnes, transport leader for Edinburgh, said: "We have been keen to introduce a scheme of this kind for some time now, so I'm delighted to see the exciting and innovative plans for its implementation unfold. "Once in place, I would expect to see more and more people, residents and businesses alike, use these bikes and e-bikes, alongside our improving and developing cycle infrastructure, to explore Edinburgh on two wheels." Edinburgh University principal, Professor Peter Mathieson, said: "We are delighted to be an official partner in a scheme that will provide a cheap, healthy and fun way to explore our city. "It is an initiative that is in line with our commitment to support our students, staff and visitors to travel by bike, to reduce environmental impact and to promote wellbeing. "We are pleased to do our part in helping the City of Edinburgh Council meet its target of 15 per cent of Edinburgh residents cycling to work by 2020."